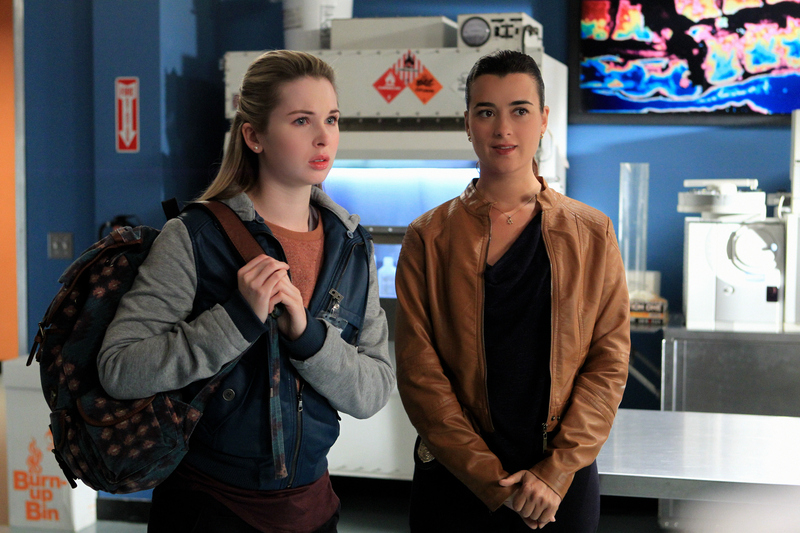 As the NCIS team investigates a teenage girl’s abduction, Ziva (Cote de Pablo )and Abby (Pauley Perrette ) work closely with her young friend who witnessed the kidnapping. As the investigation unfolds, Gibbs seeks help from a past contact, Miranda Pennebaker, a well-connected woman with questionable morals. Meanwhile, Tony gets jealous when he learns Ziva is making plans with a mysterious man. Alex Kingston (“Doctor Who,” “ER”) guest stars as Miranda Pennebaker. Photo: Sonja Flemming/CBS © 2012 CBS Broadcasting, Inc. All Rights Reserved.